There are times when you need to install multiple applications at once, either EXEs or MSIs; we call this a suite installation. Wise Installer was one of the most popular software tool used for creating application installers. It was discontinued in November 2013 and offered a solution for such cases. In this article, we have a look at how you can achieve that in a simple and modern manner using Advanced Installer compared with the old ways of Wise Studio. Let’s assume that you have two MSIs that you want to install, in our case Google Chrome and VLC Media Player. You now have a simple EXE suite that by default installs as silent. If you want more options or advanced control over how to create a suite Wise offers a WiseScript Editor. Open Wise Package Studio. In the left pane double click on WiseScript Editor. 1. On the bottom left corner click on Setup Editor. Wise creates by default a template with customizable Dialogs and initialized variables. 2. Scroll down to Custom Dialog “Start Installation” and select it. 3. In the left pane double click Install File(s). 4. 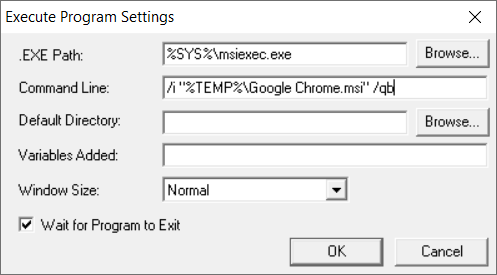 In the Install file settings dialog that appeared click Browse, navigate to your desired MSI and select it. 6. 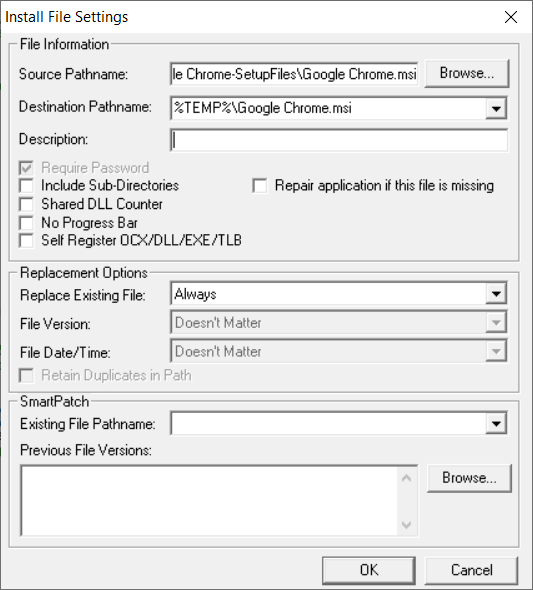 In replacement options, make sure that Replace existing file is set to Always. 14. To change your application title, scroll on top of the installation script, double click Set variable APPTITLE to and input the desired value. In the end, the installation script should look something like below. 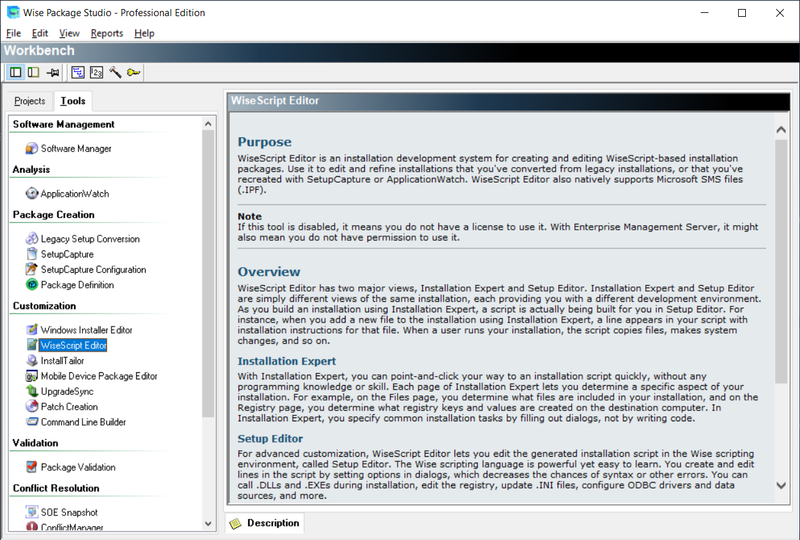 We have a more in-depth article regarding creating suite applications using Advanced Installer that can be found here. In this case, we go shortly over the quick process that Advanced Installer offers you and pros. Once you created a new Enterprise project and entered the product details (Product Name, Product Version, etc), navigate to the Prerequisites page. Browse to your MSI and select it. Advanced Installer automatically detects the name and version of the MSI. 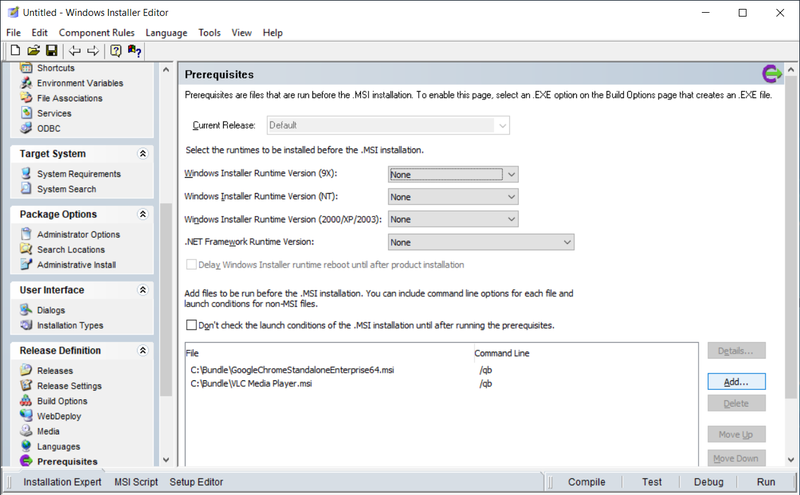 Go to the Builds page and select what type of Suite you want Advanced Installer to create. You can also choose the extract location for your files. That’s it. 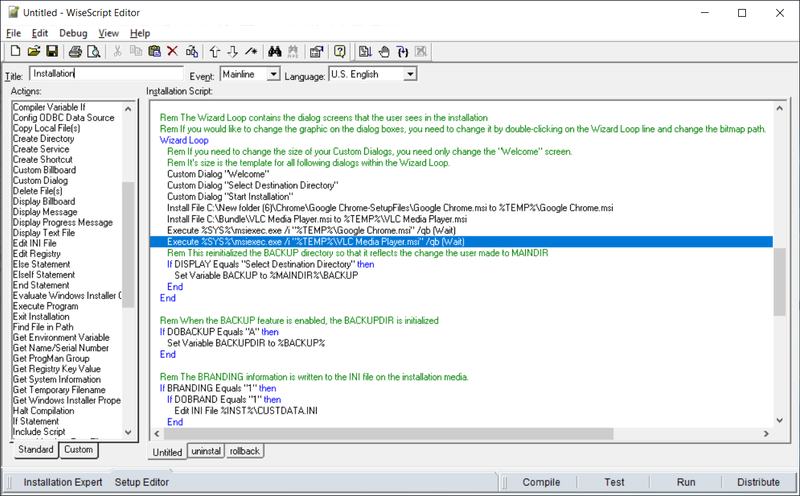 Advanced Installer with its powerful and modern UI you can create installation suites in minutes compared with Wise Studio. For example, you can choose how the archive is done (cab inside, multiple cabs, media outside), you can choose what features you want at installation, customize the interface more easily and so much more.